It will never stop blowing my mind that we’ve had 10 seasons of Doctor Who since its revival in 2005. But whether it’s been a year since a full series or not, Doctor Who has been very consistent when it comes to Christmas specials—never missing one. This year’s “Twice Upon a Time” will be the 13th such special (bananas), and I thought it’d be fun (and argument causing) to rank the twelve we’ve had thus far. We’re gonna count ’em down Casey Kasem style, from 12 all the way to 1. Like a countdown. Allons-y! No matter how many years removed we are, I’ll still never get over how disappointing David Tennant‘s final two-part story was to me. And before we get too far—I love David Tennant’s portrayal of the Doctor. But during the year leading up to his regeneration (which saw only five episodes spread over 53 weeks), the Tenth Doctor became increasingly arrogant, po-faced, and just downright irritating. (Not to mention writing that was an unholy blending of silly and super-serious.) “The End of Time part 1” gave us a frothing Master with super powers we didn’t know he had, a Doctor who spends most of his time looking like someone pooped in his shoes, and it all ended with everyone turning into the Master because of reasons. The only good scene (and it is very good) is a tearful moment about impending mortality between the Doctor and Wilfred Mott (Bernard Cribbins). But one scene does not a good episode make. I almost fell asleep typing the name of this episode. What a snore. A Christmas episode certainly ought to have whimsy, which “Doctor/Widow/Wardrobe” certainly had (the Doctor showing the Arwell family their Christmas digs was a delight), but whimsy soon gave way to rampant and unfettered sentimentality, which rang very false to me for some reason. It also didn’t help that the plot had one of those “Love Conquers All” denouements that are only really effective in rare instances, and a big waste of a reference to “The Caves of Androzani.” The carved Christmas tree people were in this one. Hmm. If there’s one thing I will give any writer credit for, it’s doing something different, and introducing legitimate, costumed, comic book superheroes into the continuity of Doctor Who is certainly something different. And while the romantic comedy angle was cute enough, and bringing on Matt Lucas’ Nardole as an official companion with this episode was a great move, for me, after an entire calendar year with no Doctor Who, it just seemed so slight and inconsequential, especially coming off of some of the series’ best episodes. But, Peter Capaldi is so very good in it, and his monologue about things ending being sad is still one of my favorites. About 45% of this is a very good episode. Unfortunately, 55% of it is incredibly stupid and for that reason, I’m out. The public knew the Tenth Doctor’s days were numbered, so a special called “The Next Doctor” seemed like a very exciting prospect. And David Morrissey as someone who seemed like an amnesiac future incarnation of the Doctor stuck in Victorian times was a brilliant idea, and then the reveal that he’s actually just a human with brainwaves from the real Doctor was another nice stroke from Russell T. Davies. But for God’s sake, a giant Cyberman wreaking havoc across London…so, so dumb. And it never overcomes such a stupid plot device. The following full season had to canonically retcon that garbage. Heart and cheesiness I can take in heaping spoonfuls, especially at Christmas, but my tolerance for hokum is aggressively low, and “Voyage of the Damned” is almost nothing but. A pretty great set-up in an interstellar disaster movie, evoking things like The Poseidon Adventure and of course Titanic quickly gives way to some pretty eye-rolling moments. This episode ends up being fairly high on my list, however, because of sheer nostalgia, being one of the handful of episodes (all from series 4) that I had on my iPod and would watch on repeat on my lunch breaks at work. It’s very stupid, but it still kinda gives me the warm fuzzies. How do you follow something as joyous and brilliant as “The Day of the Doctor?” Not only that, how do you use that episode to say farewell to a beloved Doctor who also happens to be that particular showrunner’s first? Well, it turns out you can’t do it super well. While a good portion of the character development hit with me—including the Doctor being forced to stay put for hundreds and hundreds of years—there was so much attempt to answer each and every dangling plot thread of the Eleventh Doctor’s era that none of them were all that satisfying. But the performances by Smith and Coleman are wonderful and it was a fairly fitting farewell, it just didn’t hang together ultimately. There’s a certain strain of these Christmas specials that is in no way Christmasy at all. “Doctor Mysterio” is one for sure, another is the very second one ever, “Runaway Bride.” After the gut-punch of a season ender that was “Doomsday,” the cliffhanger of a bride (Donna Noble, we’d find out later) suddenly being in the TARDIS was particularly jarring. 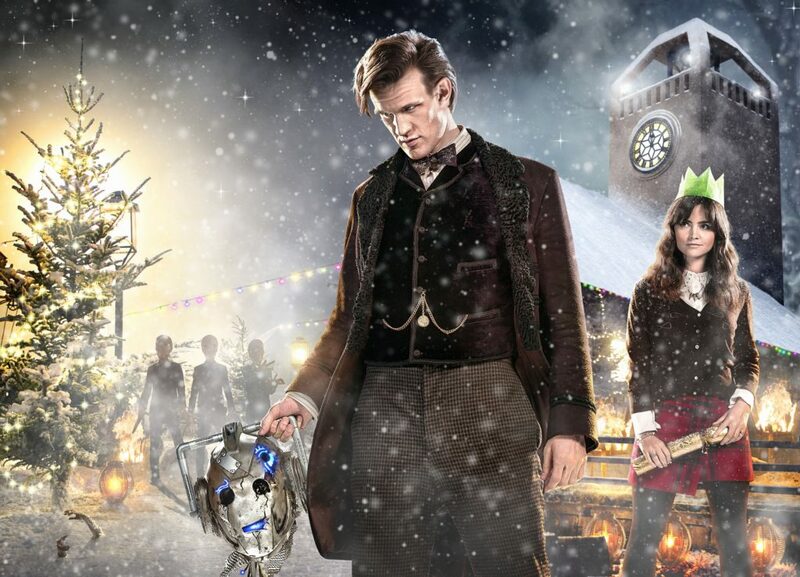 But aside from some evil robo snowmen, the most jarring thing was how clearly un-December the special was. That notwithstanding, I rather enjoy this episode, because it gave us our first team up of Tennant and Catherine Tate and it showed us the first hint that the Tenth Doctor had a real streak of darkness in him. So, you know, fun for the holidays. Now River Song has always been a problematic character for her constant “I know something you don’t know” attitude and unclear relationship to the Doctor (like, I get that they’re married, but what does that mean? ), but following only a few weeks after the end of series 9—in which we saw the Doctor say goodbye to Clara Oswald—the show gave us a lovely and sad farewell to River, in a story that was mostly exceedingly goofy. Somehow, seeing surly Capaldi put into these ridiculous plots makes them all the funnier. Series 7 was a particularly weird one, split between two calendar years with a hefty break in the middle, and even different companions from one half to the next. “The Snowmen” is the bridge between Sad Eleven’s hiding after losing Amy (and to a lesser extent Rory) and his tenure with Clara. It introduced us to Victorian-era Clara (who, let’s face it, probably should have stayed the companion) as well as the ultimate villain—the Great Intelligence. And, not for nothing, but it was a pretty darn scary with the snowmen full of teeth and stuff. And hey, Paternoster Gang is never a bad thing in my book. This is the one that started it all. Of the many genius things Russell T. Davies did in bringing back Doctor Who, establishing the Christmas special as a yearly, necessary, and obligatory tradition was right near the top of my list. And what a way to do it. Following the surprise (to people who didn’t read news or message boards) one-and-done regeneration of Christopher Eccleston in series 1, rather than waiting for a whole new series to let the characters deal with David Tennant suddenly being the guy, Davies gave Rose Tyler and co an episode—and a very Christmassy one at that—to come to grips, and for the Tenth Doctor to make his triumphant, pajama-clad debut. Series 8 was a departure in a lot of ways, both for Doctor Who and for Steven Moffat as showrunner. He made the entire year about a fraught and codependent relationship between Clara Oswald and the newly cranky Doctor, and it ended with the pair of them lying to each other about being happy on their own. Then we had “Last Christmas” which not only brought the pair back together but also gave us a riff on everything from Inception to Alien. It’s genuinely good sci-fi storytelling, and keeps the audience guessing, and it’s sort of brave to do that in a Christmas special. And it also had Nick Frost as Santa Claus, just to be awesome. Just as series 5 was Steven Moffat crafting a nearly perfect first season, his first Christmas special remains his best, and the best Doctor Who‘s ever had. A decidedly somber sci-fi riff on the Charles Dickens novel, with Michael Gambon playing a crotchety old miser who’d sooner let a spaceliner full of people die than do anything for free. Gotta love time travel, because the Doctor—blatantly shirking responsibility, really—infiltrates the past of the man, at Christmas every year, to turn his hard heart soft. It’s truly lovely, and one worth watching every year. And there you have it. This is, of course, my list, but you no doubt have your own. 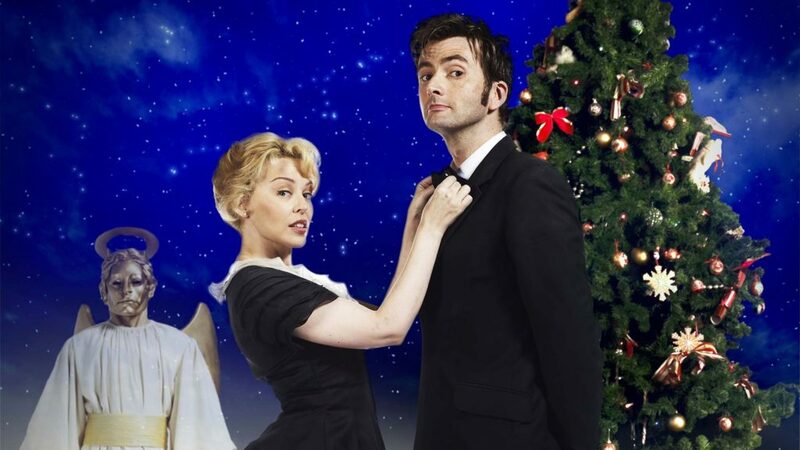 Share your ranking of Doctor Who Christmas specials in the comments below!